this is my first kit please tell me what you think. i will be offering it here for free. 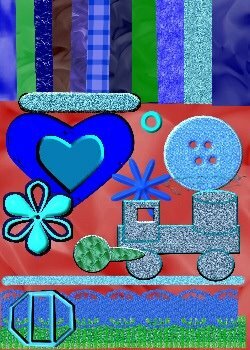 I love the blue green glitter and the cute train! Great job Helen! Keep on designing! Thanks for sharing this beautiful kit free! The train looks so neat....I love the colors and all the glitter! Beautiful job on your first kit!